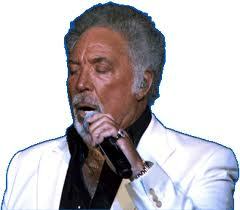 Singer Tom Jones was initially reported to have had a “heart scare” and has canceled his concert in Monte Carlo. However, doctors diagnosed him with severe dehydration and advised him not to perform on stage. Twenty four hours earlier the 71-year-old singer had performed in front of diners at the club, reportedly giving a typically energetic performance. Jones spent the night in hospital in Princess Grace Hospital in Monte Carlo, where he was declared out of danger. In August 2006, two Monte Carlo shows were postponed after the singer suffered a serious chest infection and three years later a throat illness led to the cancellation of an American tour. The singer, who was responsible for a string of hits in the 1960s including Delilah and What’s New Pussycat has been forced to cancel other concerts on medical grounds in recent years. The Welsh star’s performance in Monte Carlo was due to be the last of a three-month tour. This was extremely disappointing for Tom, the band and all connected with the tour, the official statement said. In a statement the crooner thanked his fans for their understanding and support.